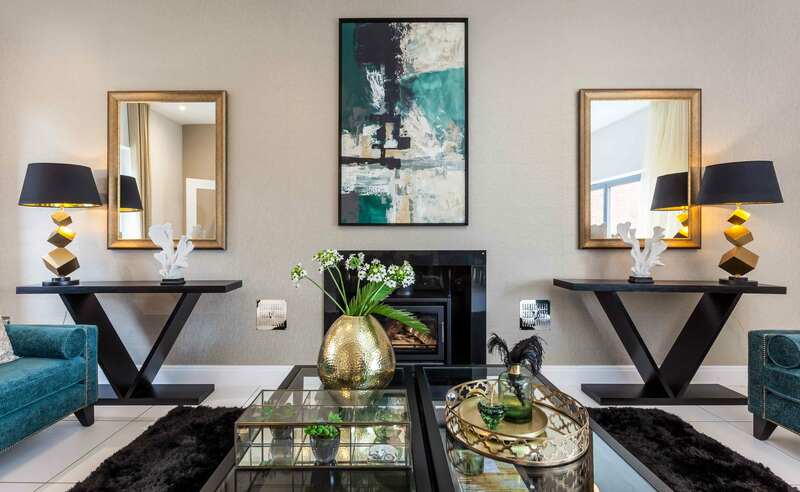 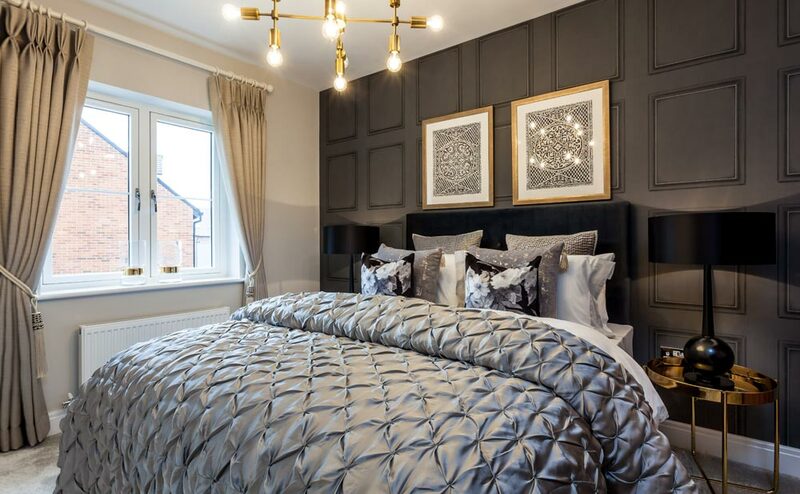 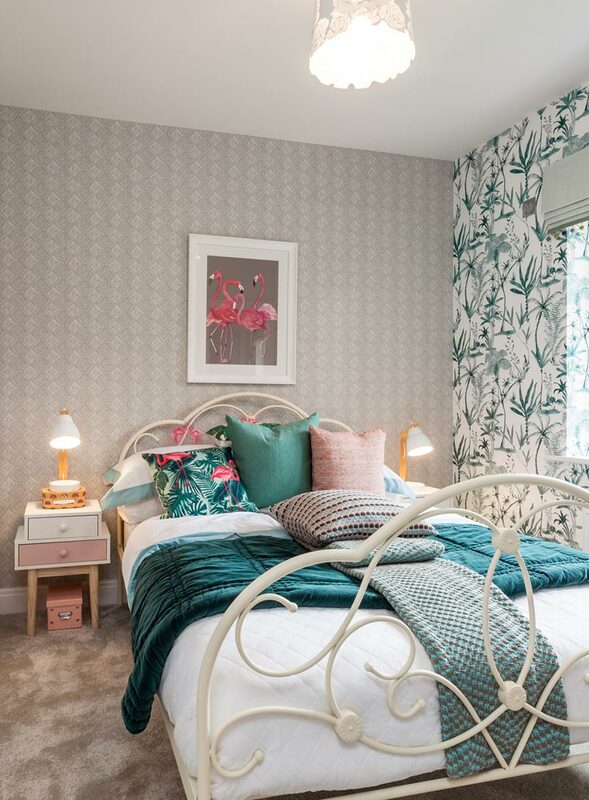 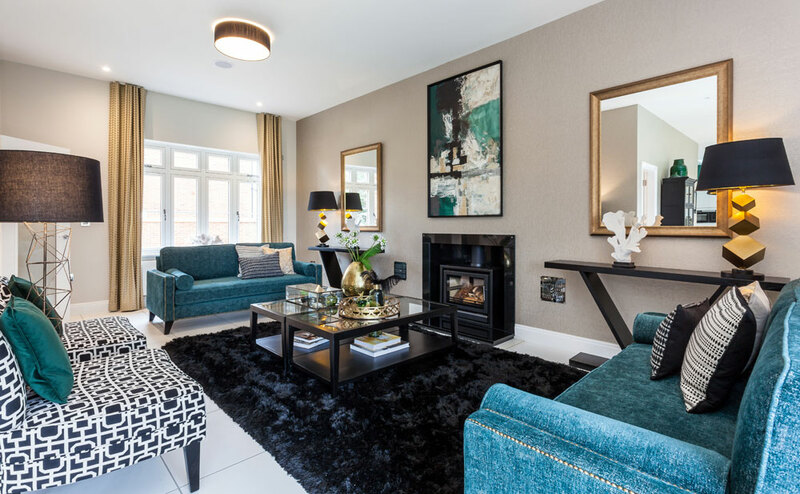 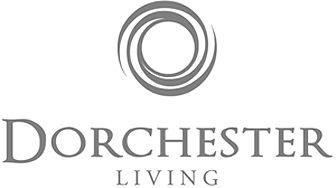 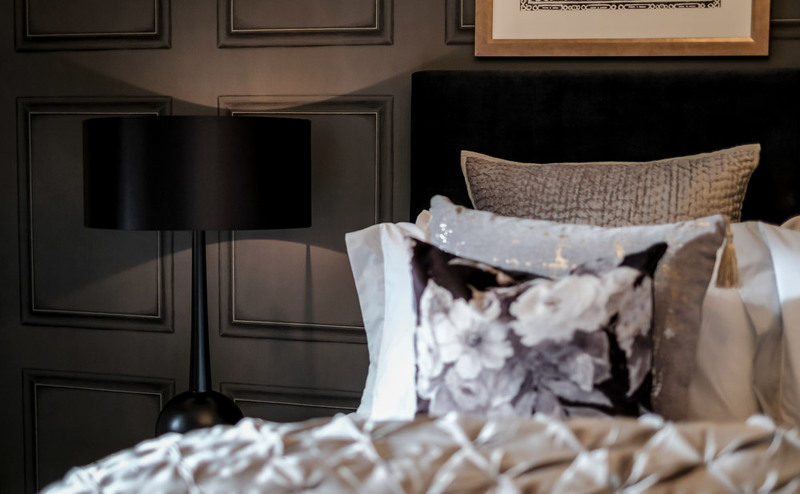 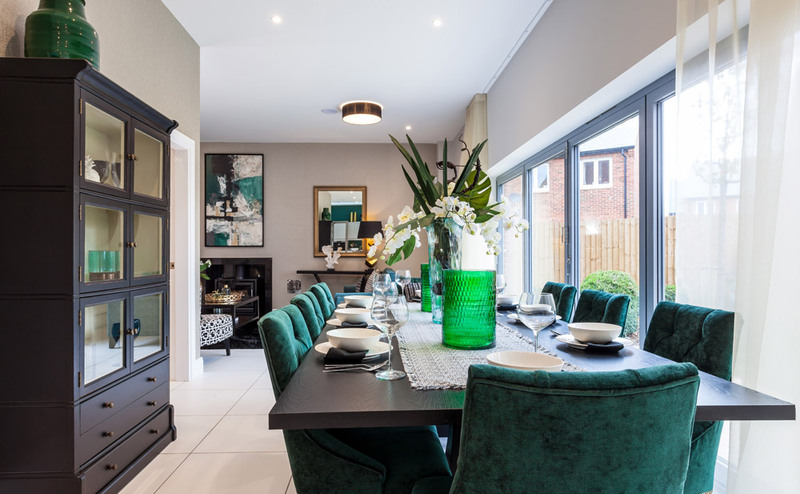 This flagship show home is set within 1,231 acres at the Heyford Park development. 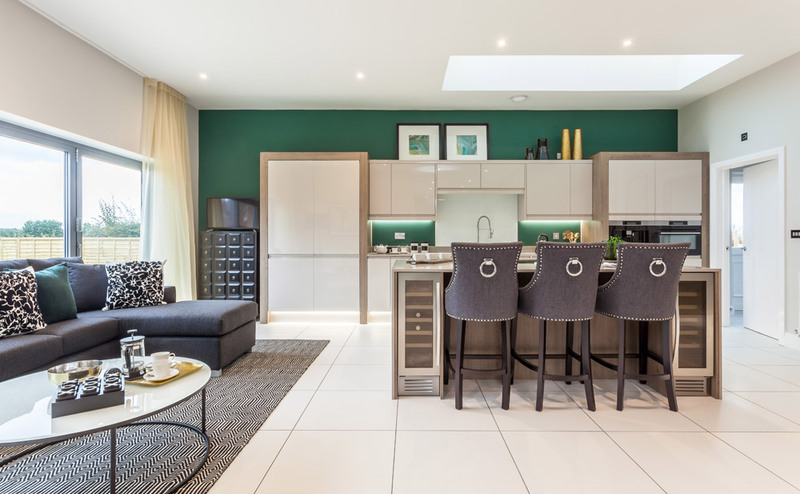 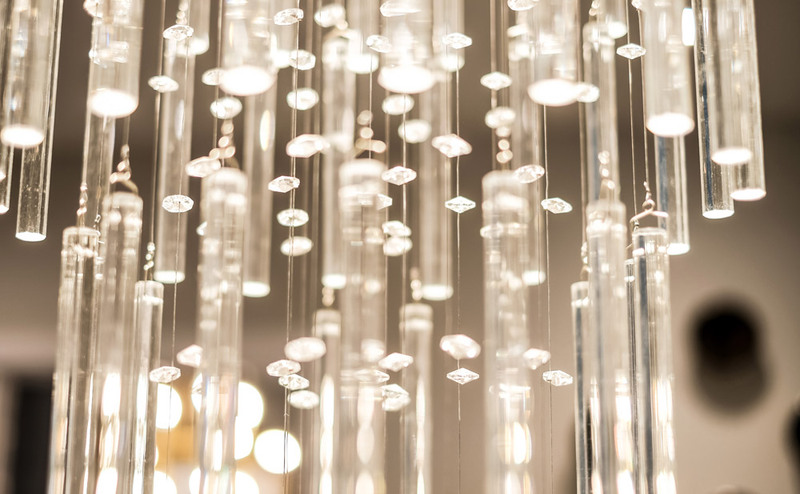 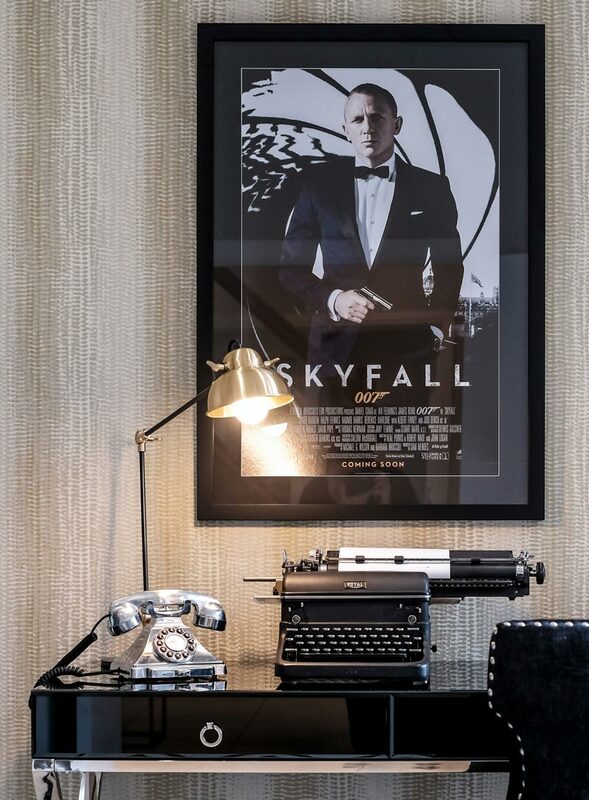 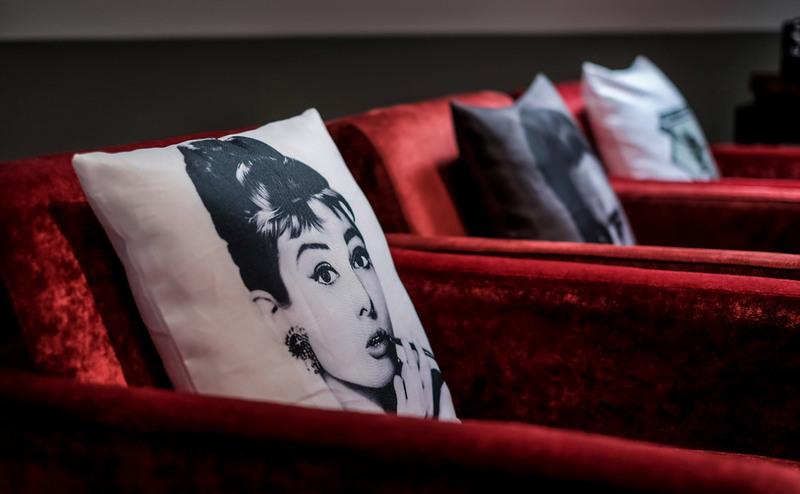 With Bicester Village nearby we were conscious to design a vibrant and inspirational interior. 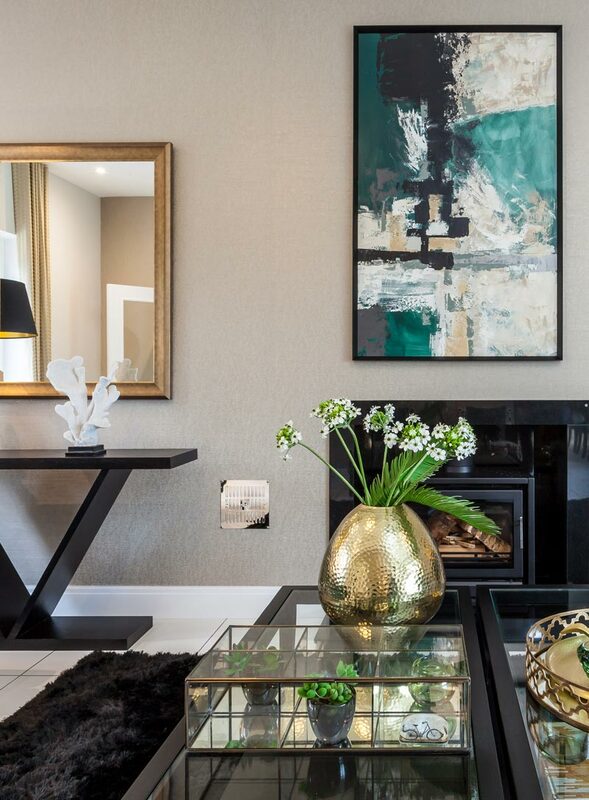 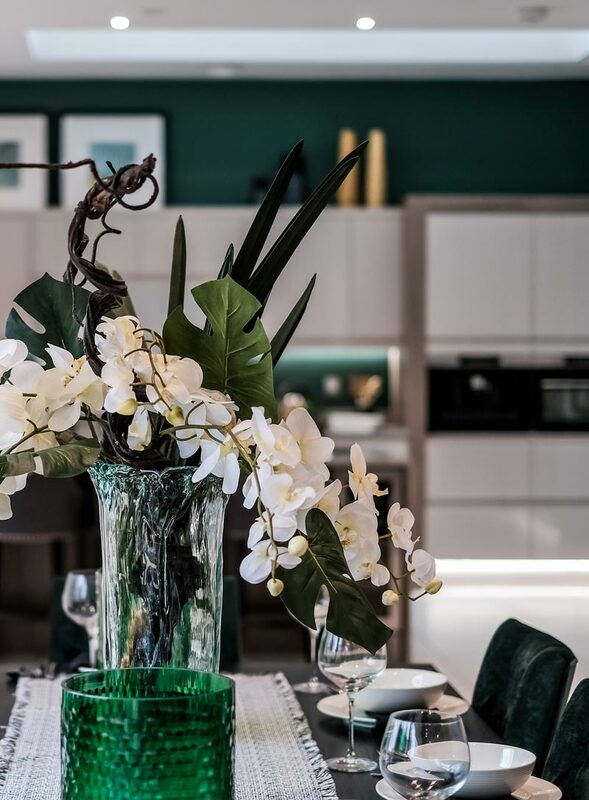 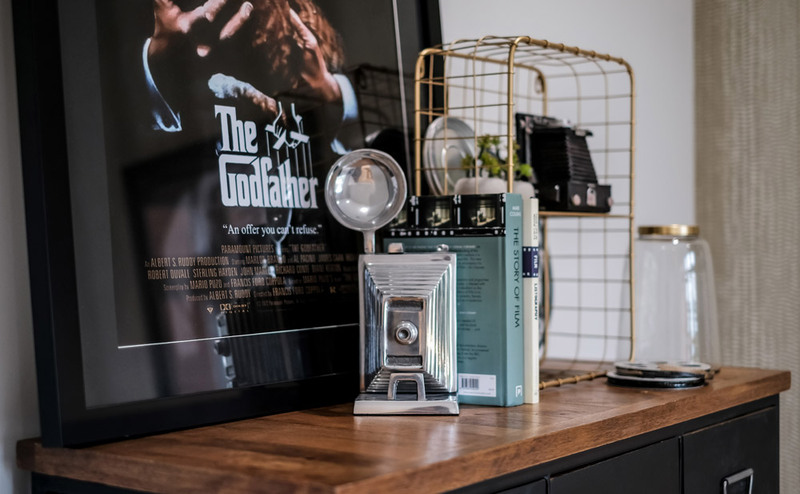 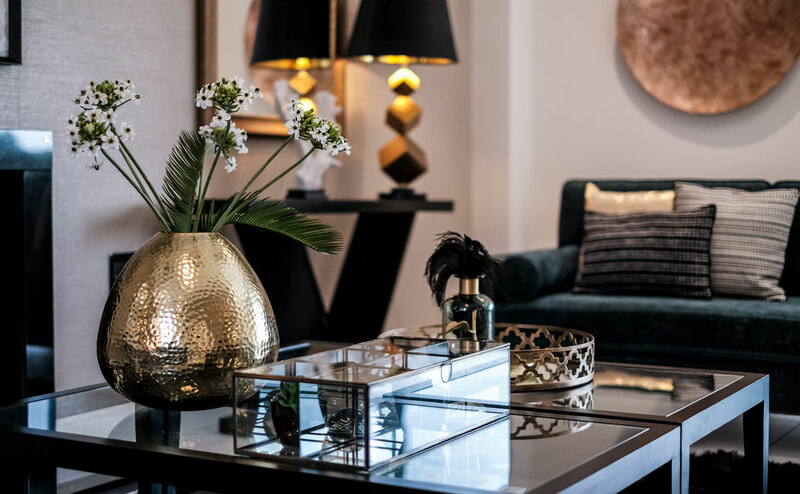 A deep, sumptuous emerald green perfectly complements the rich, gold metallics and deep charcoal base notes and everything about this home emanates style and luxury. 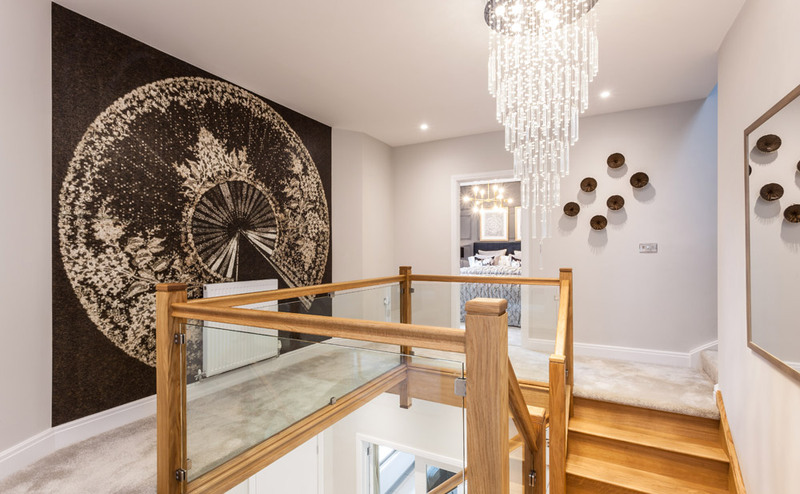 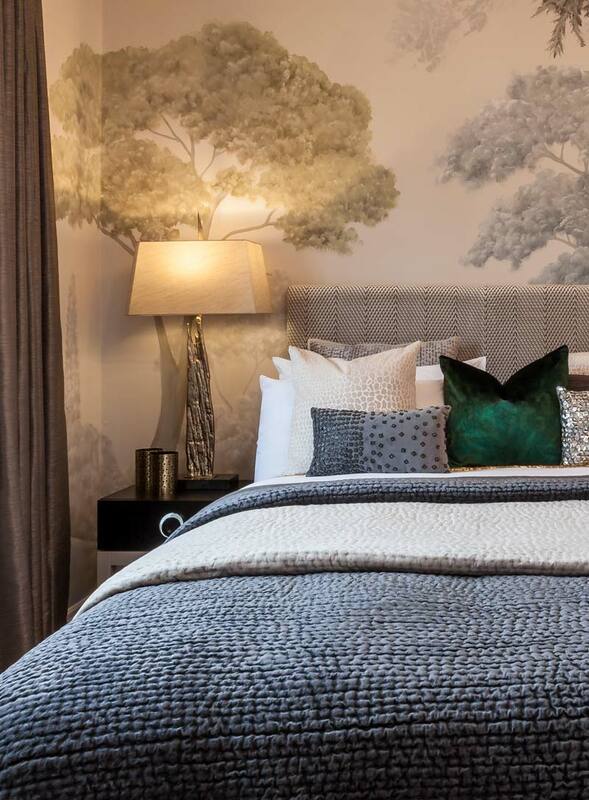 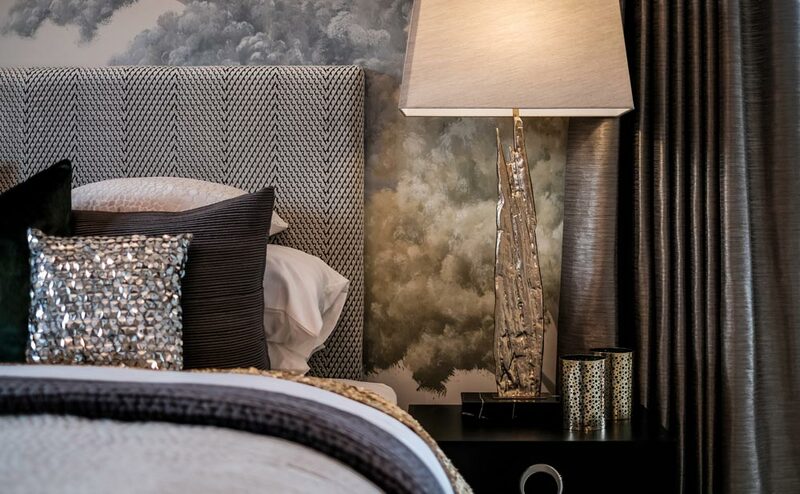 A beautiful hand painted trompe- l’oeil mural is the main feature in the master bedroom and a decadent cinema room on the top floor emphasizes the extensive available space in this fantastic family home.